When: Tuesday, March 1, 7 a.m.–10 p.m.
Why: National Pancake Day (or “Fat Tuesday,” or Mardi Gras, as it has also been called for centuries) is not a conveniently manufactured holiday like Bloody Mary Day, or Jell-O Week, but a less exotic carnival, courtesy of our Olde English forefathers. For the religious folks out there, Fat Tuesday is a great excuse to use up all of that leftover sinful dairy before Lent. 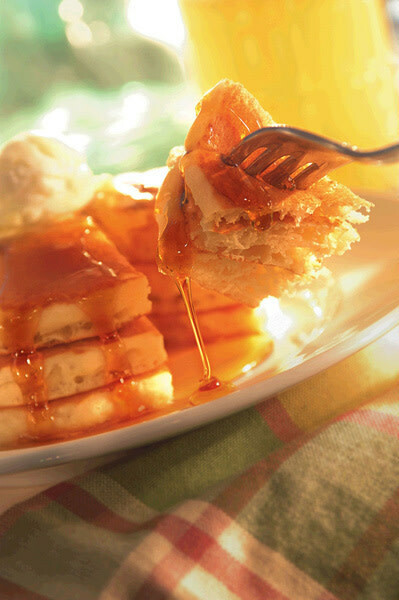 For frugal pancake lovers, it’s a cue to mosey on down to your nearest IHOP, where for one day only, they will be dishing up free short-stacks of light, fluffy buttermilk pancakes all day long. Proceeds from local Portland donations will go to the Children’s Miracle Network Hospitals programs at Doernbecher Children’s Hospital. If nothing else, do it for the children. When: Thursday, February 24th, 6–7 p.m.
Why: Because now you have an excuse to brave the lines at Whole Foods, justifying the obligatory weekend stockpile of groceries for a briny Puget Sound bivalve and a beer. Plus, this is your chance to be a hero on the half-shell, minus the awkward ’90s idioms and chef Boyardee tie-in. With proceeds going to a micro-lending institution for women in developing countries and a generous donation from Whole Foods matching that price, you can be sure all your hard work in the fresh fish aisle won’t go overlooked.